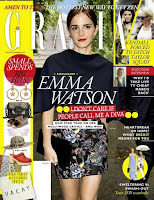 Source Emma Watson Updates for the scans if you use them, credit it if you use the transcript, please. When, in September 2014, Emma Watson stood before an international audience and implored men to "take up the mantle" of gender equality, her speech - to launch the UN's He For She campaign - went viral within hours. Millions around the world watched as Emma revealed that she felt she had been sexualised by the press at 14 and had seen female friends ditch sport at 15 "because they didn't want to appear muscly". In the years since, thanks to the launch of a feminist book group, Our Shared Shelf, and her work as the UN's youngest ever Goodwill Ambassador, Emma has solidified her status as one of Hollywood's most high-profile feminists. 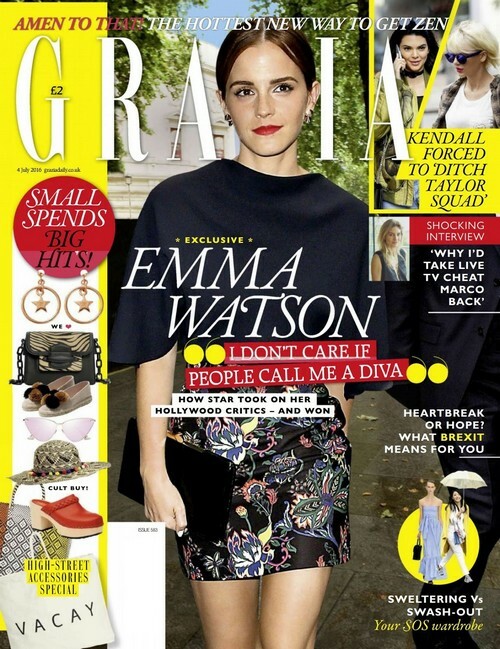 But in an exclusive interview with Grazia, the actor has revealed that she once stopped herself from speaking out about sexism because she was too afraid of being labelled "difficult". "I had a huge fear that someone was going to call me a diva and was so terrified that I would do anything to appease anyone in order to avoid it," she said. "At some point, the sting has to come out of words like diva. It was ammunition against me because I was so afraid of being called spoilt or difficult, or of people saying movie stardom or fame changed me." When Grazia meets Emma, squirreled away in a hotel room in Central London, she's got a quiet confidence about her. Not so long ago, the 26-year-old star admitted that she had only recently found her own voice. Indeed, despite numerous roles on screen, it is arguably her role as UN Women Goodwill Ambassador that has finally moved her away from being - in her own words - the "Harry Potter girl". She's smart, funny and engaging as she tells us, "It only happened for me recently. I was like actually 'Go for it!' - say what you need to say. Other people's perception of you can't be the most important thing. You have to let your perception of yourself have a lot more weight." Her comments will no doubt draw parallels with fellow Hollywood feminist Jennifer Lawrence, who last year wrote that she had initially given up fighting over the pay gap between male and female actors because "she didn't want to seem 'difficult' or 'spoilt'. The Oscar winner added, "At the time, that seemed like a fine idea, until I saw the payroll on the internet and realised every man I was working with definitely didn't worry about being 'difficult' or 'spoilt'. For her part, Emma has grown so passionate about feminism she recently announced she was taking a year off to study, read and pursue her knowledge of the movement, while also concentrating on her own "personal development". Her current position? That "what makes you a feminist is not saying that you are a feminist, it's actually in how you choose to live your life, what you do and the action that you take. "Feminism is more of a verb than just a description, so trying to change the idea around that is quite important." And top priority is changing the perception that women are defined by what they look like, which she argues is still a huge factor blocking gender equality. "There is certainly a big part of conditioning in society that still very much tells women that the most important thing is their appearance and their bodies and how they look. "It's changing, and I think women are learning to be valued for what they're saying, doing and thinking, for who they are. But there's still some strong messages saying what really matters is how you look in a bikini." 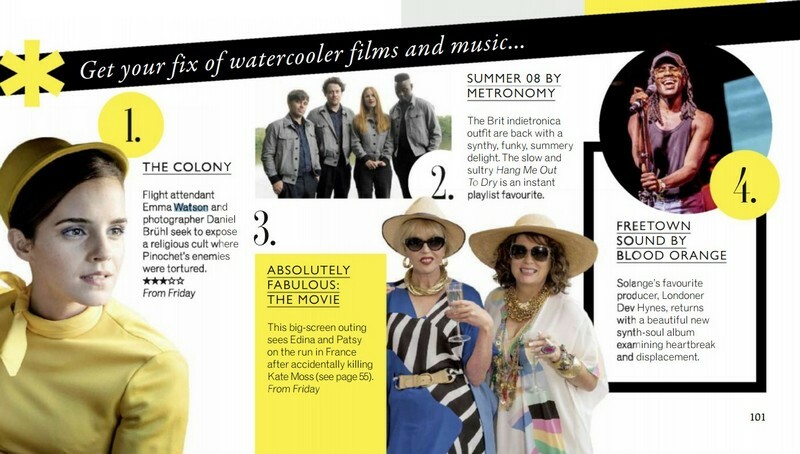 Prior to announcing her career break, Emma shot her latest film, The Colony, released on Friday. In it, she plays Lena, a young woman whose boyfriend Daniel is abducted by dictator Augusto Pinochet's secret police during the Chilean military coup in 1973. It was a part she says she was attracted to thanks to the film's reversal of gender norms. "It's difficult for me not to look at it through a feminist lens and try and think of the representation of women in general," she told us. "I felt like there was a real role reversal going on in the film where, for once, it wasn't the girl waiting to be rescued. She was the one doing the rescuing."